Discount available! 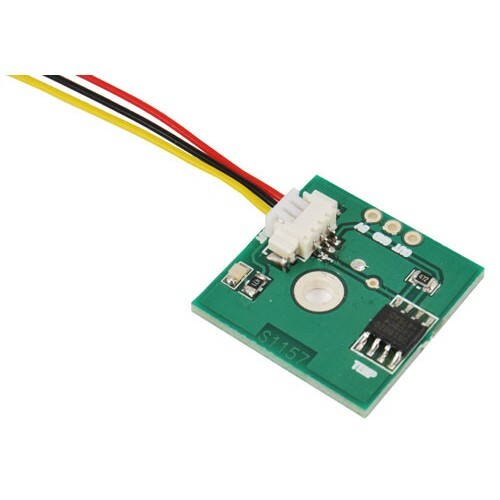 Recommend DS18B20 temperature sensor - mounted to your friends and get your Discount. Breakout board based on the temperature sensor semiconductor DS18B20 (version TSSOP) of Maxim Dallas. The sensor provides an output signal of the digital type, for this reason must be interfaced to a microcontroller or a microprocessor that provides to question according to the protocol provided. 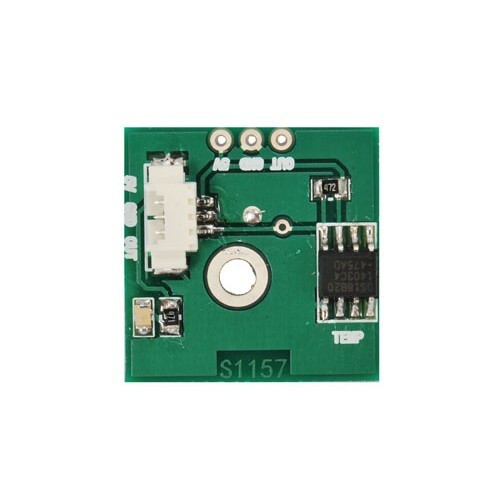 The connections of the temperature sensor DS18B20 are essentially three: the two-pin power supply (Vcc and GND) and the data line (DQ), available via a 3-wire cable with connector JST 1.25mm pitch. The DS18B20 communicates using the One-Wire protocol, which provides data communication through a single wire (by mass, of course). Because everything is working properly, the data channel requires a pull-up, available in the breakout board. The DS18B20 measure temperatures between -55 ° C and + 125 ° C with a precision of 0.5 ° C. Each sensor is equipped with a serial code 64-bit stored inside it, this allows the use of a huge number of sensors on a data bus. Applications include thermostatic controls, industrial systems, consumer products, thermometers, etc. Dimensions (mm): 22x22. The breakout boards are prototyping boards containing the already welded concerned component, whose connections are carried outside the bases on easily usable connections for pitch and termination; generally the connections are pitches with a pitch of 2.54 mm, like those of the classic integrated DIP. To facilitate those who would like to use SMD components but do not have the means or the qualities to weld it, a number of integrated sensors (including sensors, switching power supplies, battery chargers, linear amplifiers, etc.) have been identified and mounted on ready-to-use bases. These breakout boards are both an aid for those who want to have ready in a "traditional" format the best of SMD electronics, and for those who can work with SMD components - need to have these components available on prototyping boards to apply them to existing circuits and to perform tests, that is, to create prototypes that integrate the functions of the relative integrated, before realizing the final printed circuit of an apparatus.